What a week it’s been! On Tuesday I flew from my family’s ‘Storybook’ cabin in Pennsylvania, straight to Boulder, Colorado for a photo shoot with one of my fav client’s, Purely Elizabeth! You can see some previous work here, here and here! I go to Boulder once every 3 months for a 2-day photo-shoot to give them seasonal batched content. We shoot for 2 days straight and usually have a ton of fun doing it. Elizabeth from Purely Elizabeth has a gorgeous house and a super nice kitchen to work in! Last night, I finally flew back home after almost a week gone. I haven’t left home for more than a week since last years Italy trip! I have such anxiety leaving my ‘work’ behind and feel like I should never take too long of a break. However, I couldn’t be happier that I did! My small vacations with my Dad and Grandpa (It sounds corny) are such a special opportunity that I won’t always have. In a weird way they make me feel very young and free which is hard to come by as an ‘adult’. 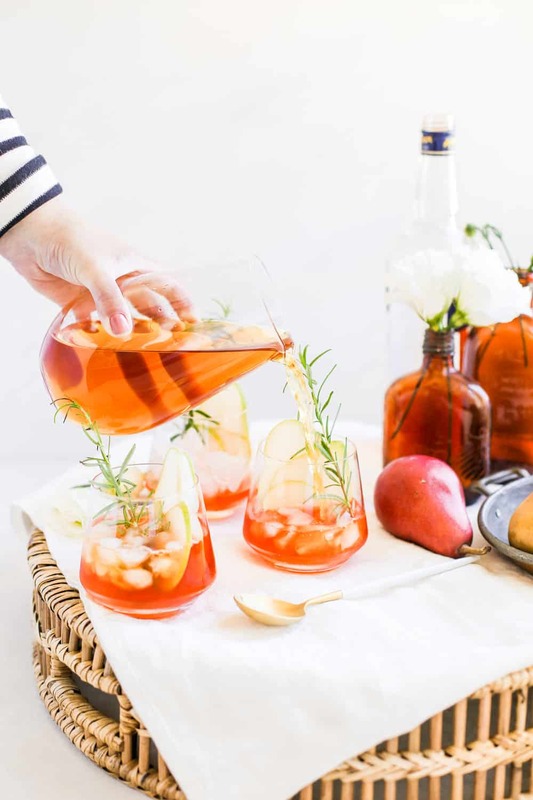 To celebrate a wonderful week I am bringing you the cocktail that will make you break up with summer and fall, for fall! I’m a summer girl through and through. I love being able to wear a sundress for months at a time and I’m obsessed with Aperol spritz’s. I’m always sad to see these two things leave my life this time of year. I also had a jumbo bottle of Aperol left and I knew I was going to have to find away to kill it. 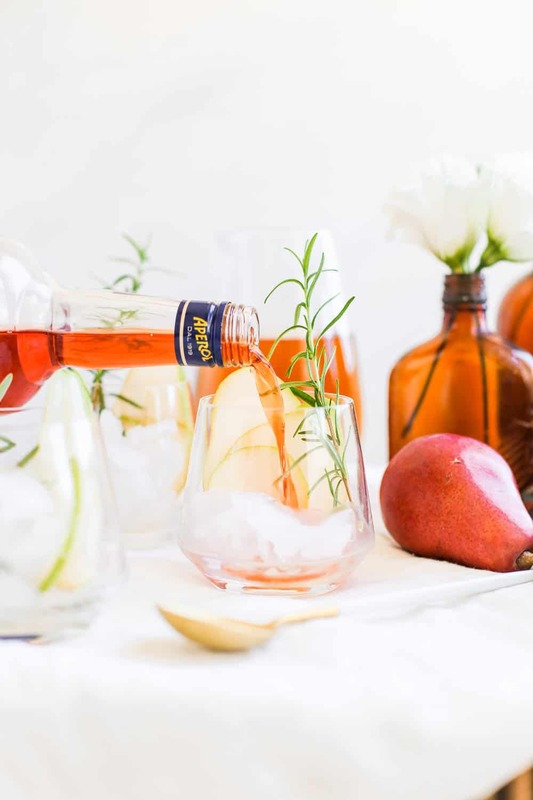 Introducing the Aperol Pear Cider Spritz! Omgaaaah I’m so excited for you to have this recipe! 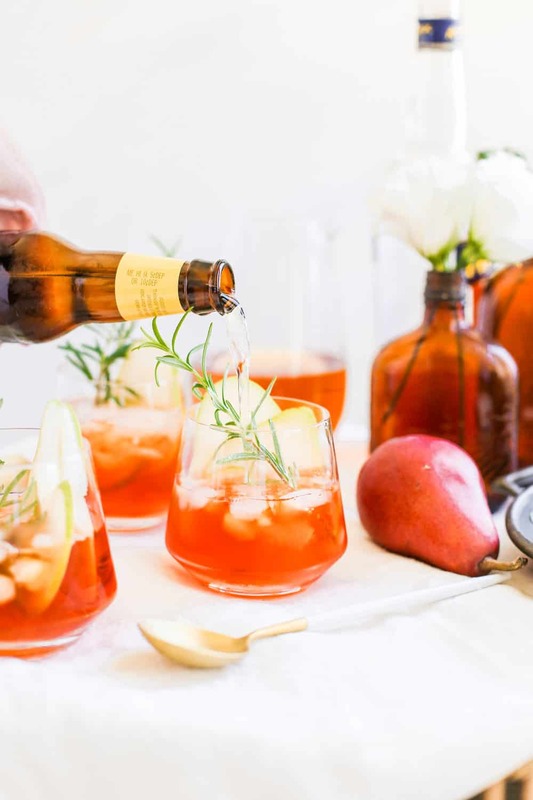 It’s basically the same formula for a regular aperol spritz but swap out prosecco with hard pear cider and add in a splash of apple juice instead of sparkling water. 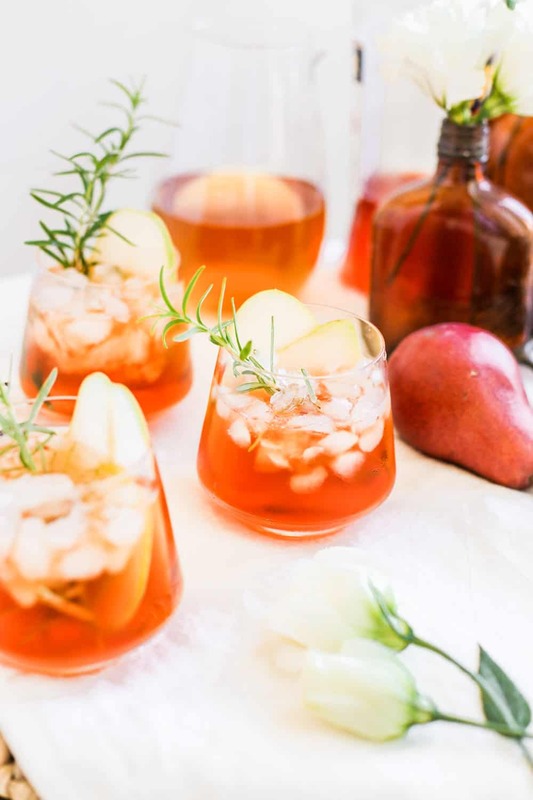 I know that this drink would be so beautiful at any friends giving soiree! Be sure to make this during the fall season, you won’t be disappointed! Fill a wine glass up with crushed ice. 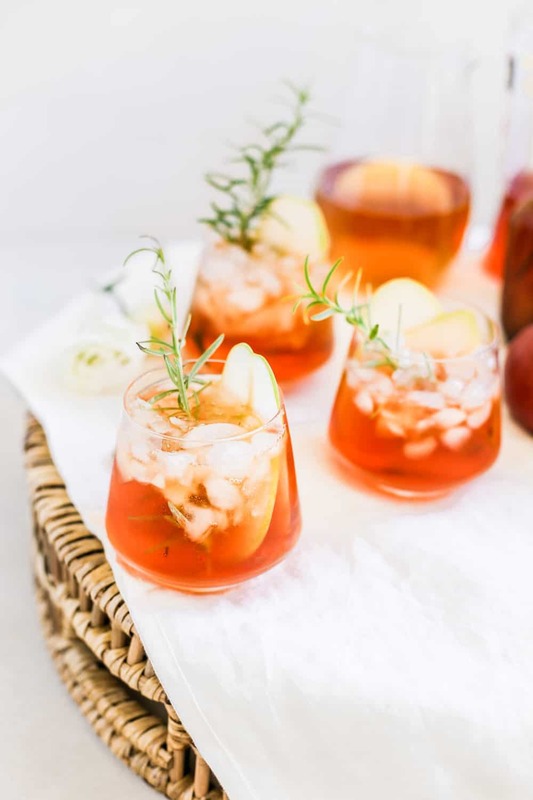 Pour in 1 ounce of aperol and fill the rest of the glass with hard pear cider, leaving room for a splash of apple juice. 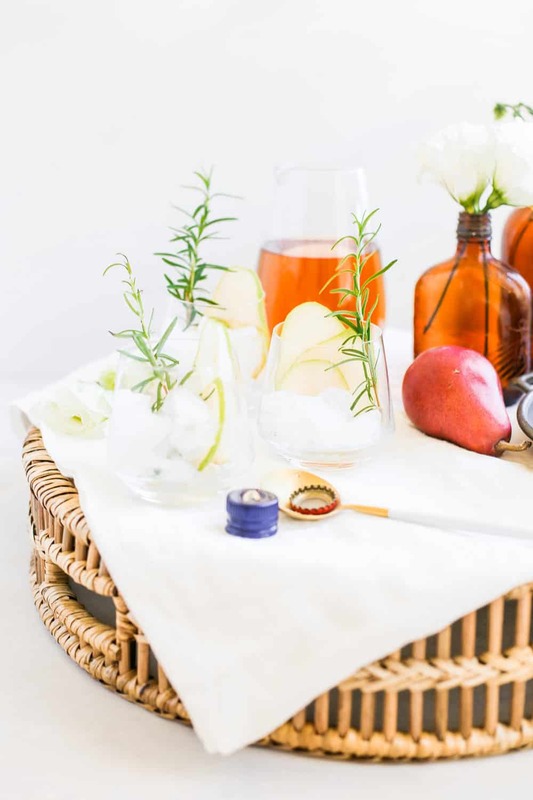 Garnish with pear slice and rosemary sprig. These look amazing! And I’m glad you enjoyed your break. As I said over on Instagram, doing what we do it is so important to make time to step away – I’m now back in my little London kitchen after two and a half weeks (!) on the move and I don’t think I’ve been this motivated to work this week (when I’m off again for 48 hours!) in ages! Totally! I feel like it’s so important to recharge and you can work that much better once you come back! Looks yummy both ways, can’t wait to try it!